Connections to and from North Tottenham are set to dramatically improve with upgrades to the White Hart Lane Station, West Anglia mainline services, Crossrail 2 and the Cycle Superhighway. 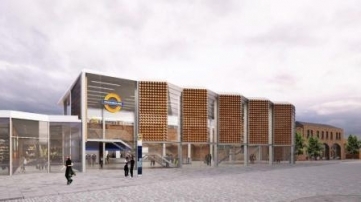 Transport for London appointed Taylor Woodrow, working with architects Fereday Pollard, to undertake the contract to build the new White Hart Lane station. Alongside the station upgrade there are plans to improve White Hart Lane. White Hart Lane is a strategic route; one of the few east west roads that can be used by high sided vehicles because of the low railway bridges on surrounding roads. An over emphasis on the use of the road by cars has undermined the environmental quality of the neighbourhood for people walking, using public transport or cycling. The junction with the High Road is an accident spot and the pavements throughout are narrow and are poorly designed for people with mobility issues. Work has now been completed on measures to help make White Hart Lane more attractive and welcoming, a better place to live, to support the existing shops and encourage more businesses to come to the area. The West Anglia Mainline upgrade will increase the frequency of train services to North Tottenham with a four trains per hour service between Angel Road and Stratford. The Northumberland Park station level crossing will be closed and a new modern pedestrian and cycle bridge created. The work will be completed by 2018. Transport for London are currently putting together plans to further improve the transport network across London and the wider South East – Crossrail 2. 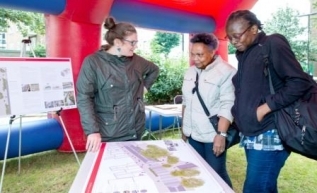 The proposed railway would run from North East London to South West London and Northumberland Park is one of the locations being considered for a Crossrail 2 station. This could mean many more trains an hour running to and from Northumberland Park station, significantly improving the areas connectivity with the rest of London. To find out more information, visit the Crossrail 2 website (external link). Cycling in London has more than doubled in the last decade. To improve safety for cyclists, other road users and pedestrians, TfL are building a Cycle Superhighway that will link White Hart Lane stadium to Liverpool Street station. For more information visit the TfL website (external link).